Have you ever wanted to feel you were taking part in an epic sci-fi space battle? Now you can at Lazer Planet ultimate laser tag, based at ScotKart Indoor Go Karting in Clydebank, Glasgow. Lead your team to victory, dominate the battlefield, enjoy an epic adventure, as the fate of the entire Galaxy rests in your hands. Lazer Planet is Scotland’s #1 laser tag experience, with up to 30 players able to play at once in the amazing arena, complete with ramps, tower, tunnel, bases, light show, smoke and atmospheric music. 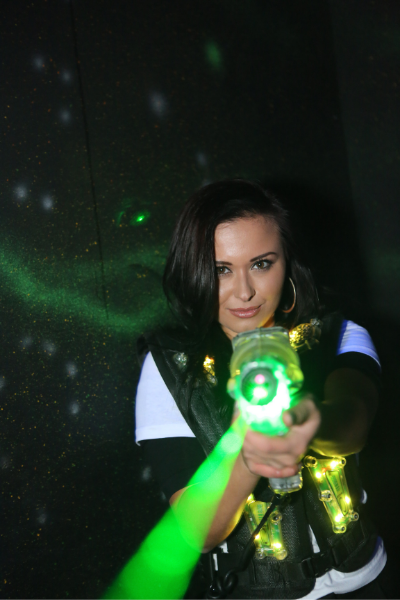 Armed with your hi-tech blaster you will enjoy a variety of team and solo games in a exhilarating laser tag competition. New game sessions allow you and your friends to play 3 games of laser tag in each 30 minute session for only £6.50pp, or play one session, take a break in the cafe or games arcade, and then enjoy a second round of 3 games, for only £12.00pp. Do you want to celebrate a Birthday or mark another special occasion? Upgrade to a 6 game Birthday Party package, including a party room and party food for only £13pp mid-week, or £15pp at weekends. We also have great value packages for youth groups, sports clubs, Scouts, Boys Brigade and School Groups from Glasgow, Dunbartonshire and Renfrewshire. Looking for 2 fun activities in Glasgow? Book a laser tag game session, and then a full throttle kart race at ScotKart from only £20pp. Call now on 0141 641 0222 for more details, e mail [email protected] or book online now. School’s Out for Summer, and Lazer Planet is a amazing place to head for ‘Fortnite’ style laser tag and a real karting experience. If you are looking for fast paced competitive fun for all the family over the school summer holidays in Glasgow, Paisley, or Loch Lomond, make tracks to ScotKart & Lazer Planet in Clydebank for a whole world of excitement. The Clydebank centre, only a few minutes by car from Glasgow City Centre and West End along the Expressway, offers you a huge multi-level indoor kart track, unique multi-level laser tag arena, lazer maze challenge, games arcade, cafe, and is rated a 4 Star Visit Scotland Activity Centre. Every afternoon Mon-Fri your party can enjoy 2 timed karting sessions and 30 minutes of laser tag, featuring 3 solo or team missions for only £25pp. T&C Offer subject to availability and cannot be combined with any other offer. 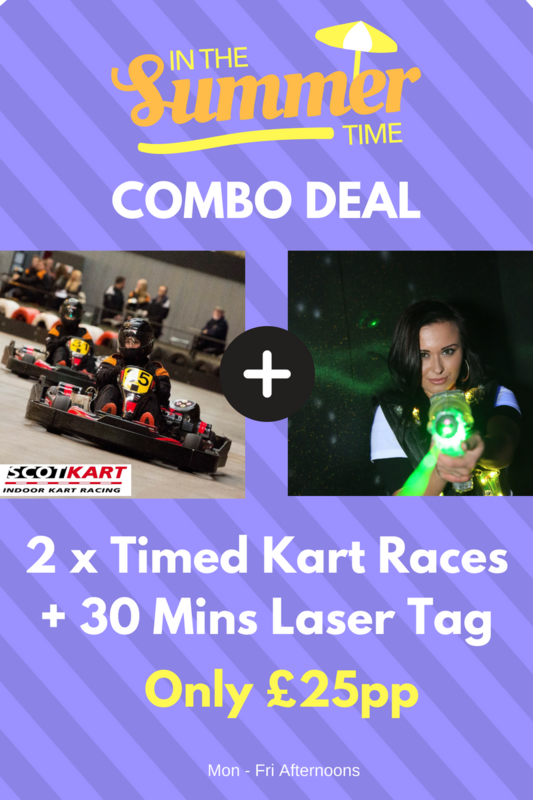 The combo deal applies to cadet (age 8+), family and regular karting sessions (age 12+/adult). Valid Mon – Friday afternoons until August 23rd, 2018. 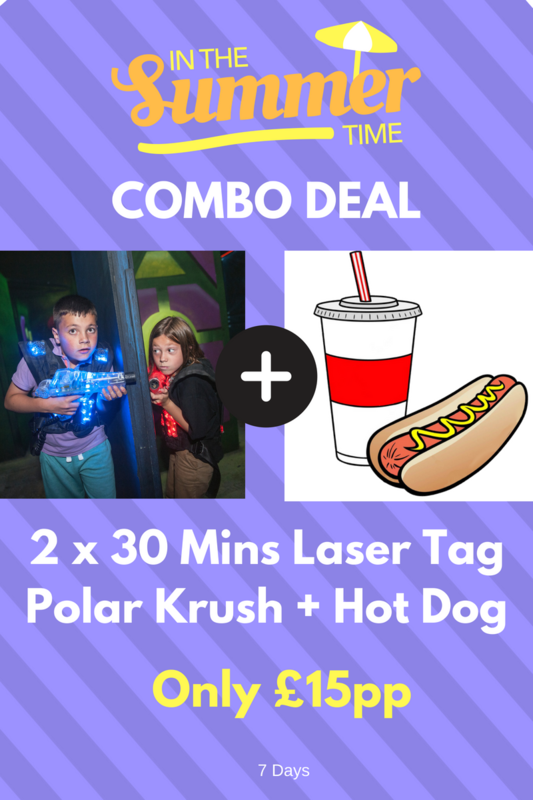 Enjoy hassle free, action packed laser tag birthday parties at Lazer Planet – a party day the VIP will never forget! For epic sci-fi game play, recreating all those blaster and phazer battles from ‘Star Wars’ and ‘Star Trek’, nothing beats the unique immersive laser tag arena at Lazer Planet. Experience Glasgow’s leading multi-level laser tag arena, with ramps, tunnels, tower, 3 bases, smoke, music and hi-tech lights for totally immersive gaming. 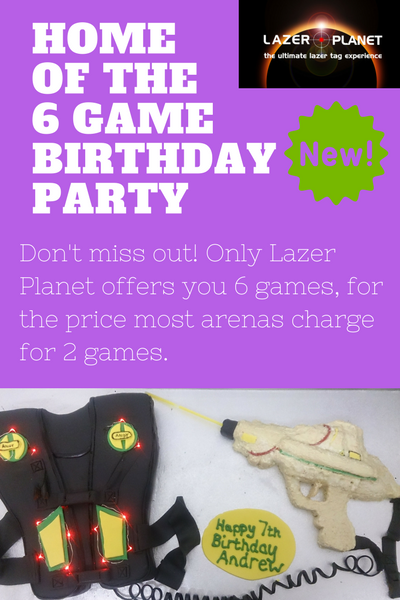 Even better when you book a Birthday party package at Lazer Planet you get 6 games of laser tag, instead of the 2 games you get at most centres, PLUS experienced, friendly staff, fantastic party rooms instead of a communal space, and awesome party food. 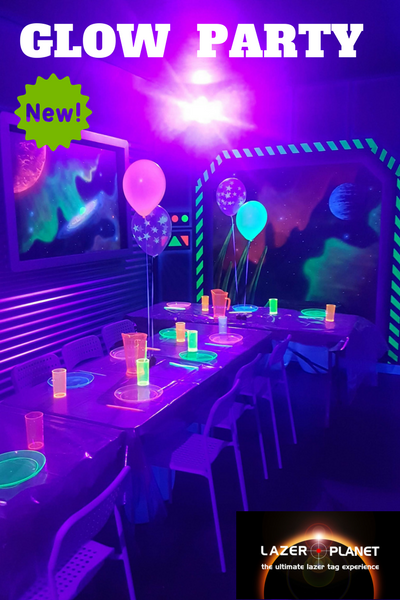 or the NEW glow in the dark party room for £2pp with glow party ware and a free glow bracelet for each person. Min 8 players, recommended for 7th Birthday Party upwards.